The area of the Suez Canal Axis Development project has been made into an economic zone following a decree by Egypt’s President Abdel Fattah Al-Sisi, according to a report. Former minister of state for administrative development Ahmed Darwish will head the economic zone for the next three years, added the Daily News Egypt report. On Saturday (November 28), Al-Sisi headed to Port Said to launch the East Port Said harbour development project. During his speech, the president addressed businessmen’s scepticism on the country’s ability to develop. 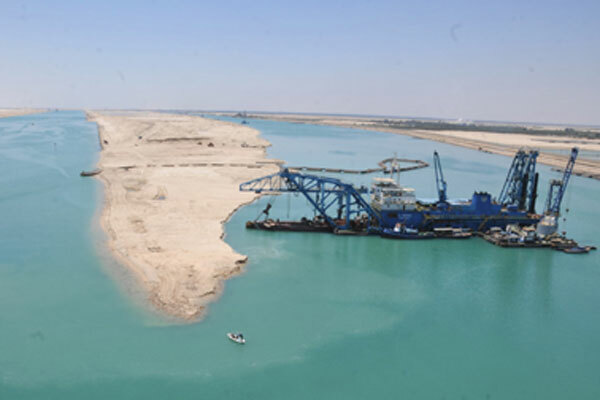 The government has previously announced that the Suez Canal project will be considered an Economic Zone of a Special Nature (Sezone), adding that this law allows the zone to work with a single-window system in completing all the investors’ procedures, separate from all ruling legislations of economic activity in Egypt. The law also allows the zone to launch a major development company for the area, and own it completely or through cooperation with the private sector, or to leave it completely to the private sector to implement infrastructure projects, according to legal advisor Hani Sarie El-Din, added the report.